Who is developing antibody-inducing vaccines for unconventional indications like different chronic diseases, addictions, autoimmune and genetic diseases? Are there vaccines which cure or prevent cancer, Alzheimer´s disease, Parkinson´s disease or Huntington´s disease? Can we decrease high cholesterol and prevent cardiovascular diseases by a vaccine? Can be a cocaine addiction treated by a vaccine? Or can somebody quit smoking by a simple vaccination? Results from which clinical trials are expected to be available this year? Which indications are the most attractive for vaccine developers? What are the strategies companies adopt for vaccines development? How to define an ideal vaccine composition which enables to induce a strong, effective and long lasting antibody response? What target is the mostly employed when we talk about antibody-inducing vaccines for unconventional indications? What are highs and falls of vaccines development? Do you want to compare target product profiles for more than 100 active vaccine candidates? Which companies and academic institutions are the most active in vaccines development for unconventional indications? What are the technologies behind? Many answers can be found in the report “Active immunization for unconventional indications”. Vaccines are one of the most important treatments ever developed. Since 1796 when the first vaccine was tested (against smallpox), vaccines have saved millions of lives and many infectious diseases have been eradicated. This is a continuous process. A traditional vaccine is a prophylactic vaccine which usually induces long-life immunity against exogenous or foreign antigens expressed on microorganisms. Usually, but not in all cases, these exogenous antigens induce a robust immune response where innate and specific immunity is involved. Immunization with weakened or dead microorganisms or their parts which have been made synthetically, protects against diseases caused by them. Lessons have been learnt from infectious diseases and years ago people started to study vaccines for chronic diseases too, where a new challenge was introduced- inducing immune reaction against the own molecules which were thought to be involved in pathological processes. These own molecules could either be modified or overexpressed in the body or they could simply attain a structure which changed their function from a protective or normal one to a pathological one. What is important is that the body itself is not able to produce an adequate immune reaction to eradicate such overexpressed or modified molecules. There are successful efforts to help the immune system in chronic diseases by passive vaccination- by infusion of monoclonal antibodies. Therefore the way for using vaccines in indications such as cancer, metabolic diseases, cardiovascular diseases and other chronic diseases is laid open. Furthermore, there are aims to use vaccines to tackle the “over” reaction of the immune system as is seen in allergic reactions. 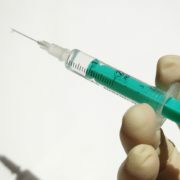 Here, instead of whole allergen hyposensitization being used, which is a long-lasting, expensive and sometimes not a very effective way to prepare an allergic person to be exposed to their allergen(s), new allergy vaccines are developed in a sophisticated way by creating synthetic vaccines with defined allergen antigens inducing an immune response shifting from IgE to IgGs production or vaccines simply targeting IgE itself. We should not forget efforts made to use vaccines in the fields of human addictions, biological weapons and recently also in genetic diseases. All these attempts try to use the best from a vaccine approach- a specific and long-lasting effect and the feasibility to treat a large number of the population without exhausting health insurance systems. It needs to be said that in contrast to infectious disease vaccines, vaccines inducing antibodies and used for unconventional indications within the scope of the report are, with the exception of two of them, intended to be therapeutic vaccines. There is still a long way to go until there will be working prophylactic vaccines which could be used to protect people from diseases such as various cancers, Alzheimer’s disease, seasonal allergy, smoking addition or obesity. Results from therapeutic vaccinations along with intensive biomarker research and an in depth understanding of the etiology of diseases are paving the way for prophylactic vaccines. The majority of vaccines for unconventional indications are in development in biotech companies and at universities. There are however also some big pharma companies involved at the moment in active development which indicates that this approach to bring vaccines to unconventional indications has attracted attention also from big pharma players, sometimes with their own experience with vaccines against infectious diseases. The year 2016 will be quite unique in regards to development of active vaccinations for non-traditional indications within the scope of the report– there should be results available from about 20 Phase III to Phase I trials. https://martinalutter.com/wp-content/uploads/2016/09/syringe-957260_1280.jpg 960 1280 admin https://martinalutter.com/wp-content/uploads/2016/04/web_logo1.png admin2016-05-30 11:43:502016-09-21 10:28:15Vaccines for non-infectious diseases? The IMPRESS Phase III trial NCT01072981 has been to assess an overall survival after treatment with a regimen of adjuvant therapy (Gemcitabine alone or with 5-FU chemoradiation) with or without HyperAcute®-Pancreas (Algenpantucel-L) immunotherapy in patients with surgically resected pancreatic cancer. The study started in 2010. An opposite of what was expected has happened as announced in May 2016 by NewLink Genetics. The median survival was 30.4 months and 27.3 months for the control and study groups, respectively. When the report “Active immunization for unconventional indications” was in preparation, it were included among antibody-inducing vaccines also cell vaccines from the company named NewLink Genetics. The cell vaccines have been developed via their HyperAcute® platform. They are included in the mentioned report under the “Selected special antibody-inducing vaccines”. These cell vaccines are inducing polyclonal antibodies and a T-cell response as well. The way how cancer cell antigens are introduced within the HyperAcute® platform to an immune system looks very elegant. Algenpantucel-L consists of 2 pancreatic cancer cell lines (HAPa-1 and HAPa-2) that have been modified to express α-gal. After destroying of infused cells by hyperacute reaction the antigens present on these cells are processed by patient´s immune cells. Because cancer-specific antigens within Algenpantucel-L are shared by cancer cells in the patient, patient cancer cells are believed to be targeted by the immune system. The Phase II showed an improved survival in patients who raised antibodies against mesothelin, carcinoembryonic antigen and α-gal. As mentioned in the report, it was expressed an opinion that by using allogeneic cancer cell lines one cannot introduce patient-specific antigens if such antigens exist and are of importance. However, Phase II clinical trial data had been very encouraging, particularly for patients who demonstrated humoral immunologic responses. So, it seemed that this approach had worked despite the cell lines possess “generic” and not patient-specific antigens and despite other cell line antigens, not so much defined and identified, have been also introduced to the immune system of a patient without knowing their exact effect. Algenpantucel-L has had an ambition to become the first product with an FDA approval for the adjuvant treatment of patients with surgically resected pancreatic cancer. Another Phase III trial, PILLAR (NCT01836432) starting in 2013 should assess an effect of Algenpantucel-L in combination with chemotherapy. The Phase II (NCT02405585) trial which started in 2015 and which should continue until 2020, combines a neoadjuvant chemotherapy followed by stereotactic body radiation therapy (SBRT) with Algenpantucel-L in borderline resectable pancreatic cancer patients. In light of the negative IMPRESS Phase III results, the company will focus on other promising opportunities in their pipeline, which by other words can mean considerations of future of the HyperAcute® platform. It will be very interesting to see results and analysis from the study, especially an immune response and correlations with an overall survival, if the company is willing to share them. Knowledge from this failed trial can add a puzzle piece to a general understanding of immunotherapy and its applicability for patients. NewLinks Genetics has had several other candidates among the most advanced vaccines in development in the scope of the “Acute immunization for unconventional indications” report. The company also develops check-point inhibitors (indoleamine 2,3-dioxygenase pathway inhibitors) for cancer indications and vaccines for infectious diseases (influenza and Ebola). The company has adopted an interesting strategy to combine their proprietary check-point inhibitors with other “activators” of immune system (e.g. PD-1 inhibitors) and with chemotherapy. 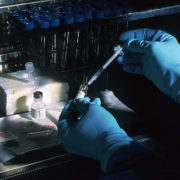 After the OBI-822/821 vaccine in February 2016 did not meet the primary endpoint in the Phase II in breast cancer (however patients who demonstrated an immune response (IgG or IgM) showed highly significant improvement in progression-free survival; OBI Pharma is continuing towards a Phase III based on results of this subset population) and the Celldex´ Rintega vaccine in March 2016 failed to improve overall survival of glioblastoma patients in comparison to the control arm in the Phase III, Algenpantucel-L is another vaccine therapy this year which did not meet primary endpoints despite very promising results in previous clinical phases. If you are interested to see target product profiles of other more than 100 antibody-inducing vaccines in active development for unconventional indications, if you want to get information about dozens of stopped vaccine projects and if you want to know which results can be awaited in 2016, have a look in the report “Active immunization for unconventional indications”. The report can also be obtained via the Research and Markets. Scientists found out that usual medical androgen deprivation therapies (ADTs) like chemotherapy or radiotherapy deprive also patient´s adaptive immune system and any subsequent immunotherapy will be then compromised. The surgical ADT- castration- works in combination with immunotherapy. The ADTs are used for 50 years. Progress in immunotherapy led to some promising candidates and as a logical step, combination of ADTs and immunotherapy for prostate cancer started to be used. However, using medical ADT in this combination order leads to the relapses in prostate cancer commonly seen in clinical trials. Reduction of T-cell response against the prostate cancer induced by some androgen receptor antagonists was found by researchers as a main mechanism of this effect. As a take-home message from this scientific work is that physicians will have to carefully think about possible combination strategies in advance before starting radiotherapy or chemotherapy for prostate cancer. And if immunotherapy is an option, one should consider timing and method of the ADT to be used. News source: Common prostate cancer treatments suppress immune response and may promote relapse, Eurekalert.